Want to experience a taste of Italy in Woburn, MA? Head to your local Bertucci’s to enjoy authentic cuisine made with real Italian recipes. Our homemade dough, specialty tomatoes, and roasted vegetables are fresh each day. Whether you’re in the mood for the pizza that put us on the map, a scrumptious Italian pasta dish, or just some dessert, we aim to make every meal a memorable experience for our patrons. Many of the patrons who visit the Woburn Bertucci’s location are frequent guests who have been dining with us for years. We also love to see new faces walk through the door, though, so if you’ve never enjoyed a meal with us before, we sincerely hope to see you soon. We treat every guest like a member of the Bertucci’s family and offer a number of convenient ways to dine, including carryout services that feature our full menu and lunch specials that are ideal for workers who need to be in-and-out within their allotted lunch hours. 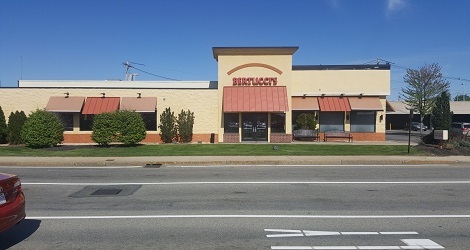 Nestled beside the Woburn Mall and minutes from Showcase Cinemas Woburn, Bertucci’s is perfect for cozy date nights, group meetings or family gatherings. Too busy to dine? Use our mobile app to pick your food and be on your way! If you’re looking to make your next event a memorable one, get in touch with us for catering. We offer catering for plenty of events including corporate meetings, birthdays, and much more.